Since arriving in the Blue Mountains we have been blessed with the warmest of welcomes and an abundance of places to visit. So much so that we are already planning to revisit the area before we leave Sydney in a couple of weeks. 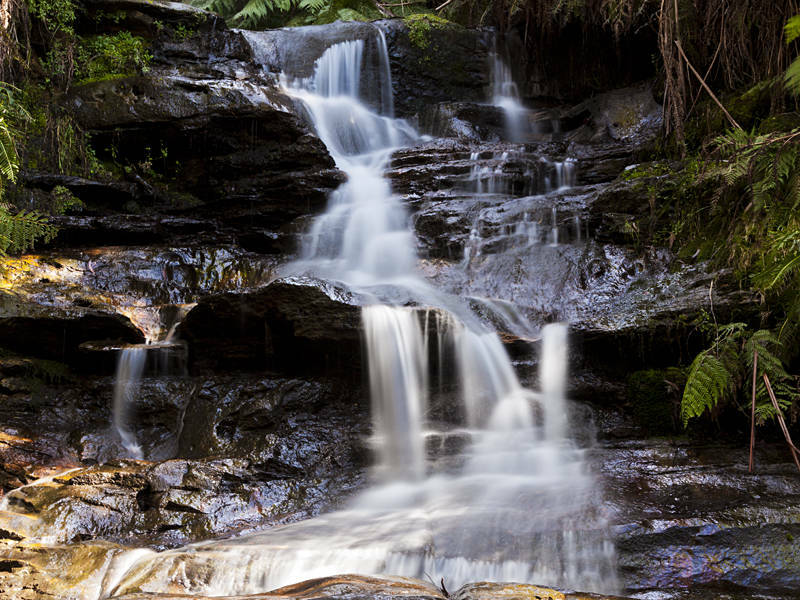 This is part Laura Cascades which is one of many waterfalls which surround the area. Reminds me of Betsy Could or wouldn’t, I can’t remember. You did a nice moving water one there. Your right. The Llugwy River was the first time I used this technique for the blog except rather than balancing the camera on a rock I used a tripod and filters to get an even longer exposure.